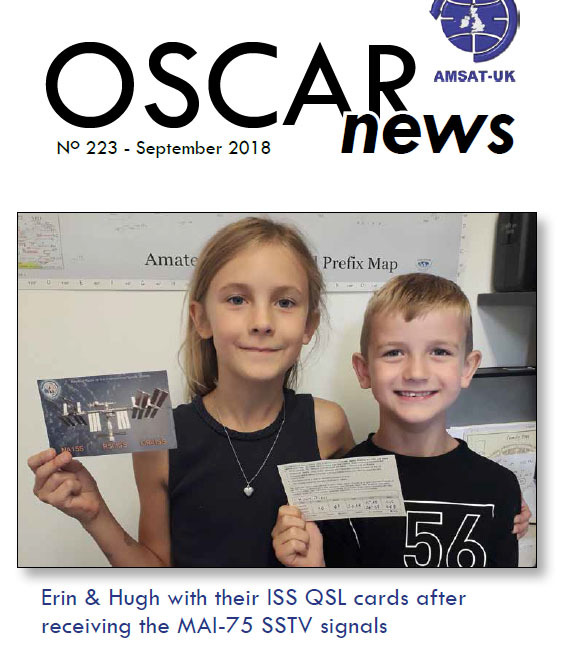 E-members of AMSAT-UK can now download the Autumn 2018 edition of OSCAR News here. The paper edition should be sent to postal members in 2-3 weeks. • A Newcomer to Satellites and a First Rove – to Iceland! • OSCAR NEWS – The Editors are retiring! • FUNcube-1 after almost five years’ service! Membership of AMSAT-UK is open to anyone who has an interest in amateur radio satellites or space activities, including the International Space Station (ISS). PDF sample copy of “Oscar News” here. E-members can download their copies of OSCAR News here.